1 cup of cooked squash contains 80 calories, 0 g of fat and ample amounts of fiber. They also contain vitamins A, C and E as well as minerals like calcium, magnesium and potassium. The potassium in squash helps lower high blood pressure. 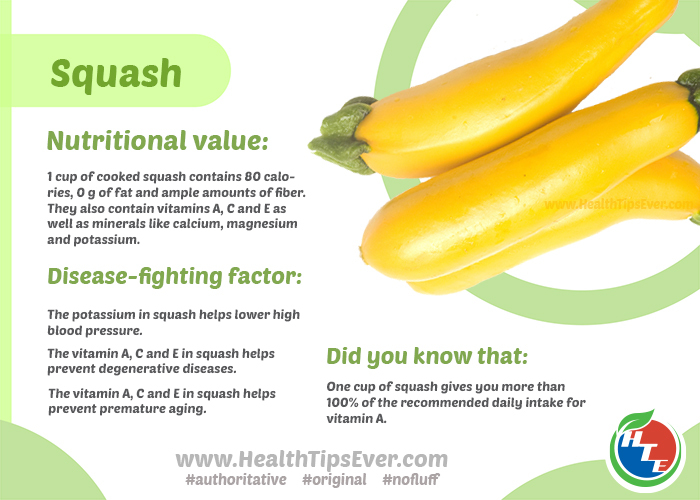 The vitamin A, C and E in squash helps prevent degenerative diseases and premature aging.